In early June 2018, at a tiny military post near the tumbledown town of Jamaame in Somalia, small arms fire began to ring out as mortar shells crashed down. When the attack was over, one Somali soldier had been wounded — and had that been the extent of the casualties, you undoubtedly would never have heard about it. As it happened, however, American commandos were also operating from that outpost and four of them were wounded, three badly enough to be evacuated for further medical care. Another special operator, Staff Sergeant Alexander Conrad, a member of the U.S. Army’s Special Forces, also known as the Green Berets, was killed. If the story sounds vaguely familiar — combat by U.S. commandos in African wars that America is technically not fighting — it should. Last December, Green Berets operating alongside local forces in Niger killed 11 Islamic State militants in a firefight. Two months earlier, in October, an ambush by an Islamic State terror group in that same country, where few Americans (including members of Congress) even knew U.S. special operators were stationed, left four U.S. soldiers dead — Green Berets among them. The military first described that mission as providing “advice and assistance” to local forces, then as a “reconnaissance patrol” as part of a broader “train, advise, and assist” mission, before it was finally exposed as a kill or capture operation. In May 2017, a Navy SEAL was killed and two other U.S. personnel were wounded in a raid in Somalia that the Pentagon described as an “advise, assist, and accompany” mission. And a month earlier, a U.S. commando reportedly killed a member of the Lord’s Resistance Army, a brutal militia that has terrorized parts of Central Africa for decades. And there had been, as The New York Timesnoted in March 2018, at least 10 other previously unreported attacks on American troops in West Africa between 2015 and 2017. Little wonder since, for at least five years, as Politico recently reported, Green Berets, Navy SEALs and other commandos, operating under a little-understood legal authority known as Section 127e, have been involved in reconnaissance and “direct action” combat raids with African special operators in Somalia, Cameroon, Kenya, Libya, Mali, Mauritania, Niger and Tunisia. None of this should be surprising, since in Africa and across the rest of the planet America’s Special Operations Forces are regularly engaged in a wide-ranging set of missions including special reconnaissance and small-scale offensive actions, unconventional warfare, counterterrorism, hostage rescue and security force assistance — that is, organizing, training, equipping and advising foreign troops. And every day, almost everywhere, U.S. commandos are involved in various kinds of training. Unless they end in disaster, most missions remain in the shadows, unknown to all but a few Americans. And yet last year alone, U.S. commandos deployed to 149 countries — around 75 percent of the nations on the planet. At the halfway mark of this year, according to figures provided to TomDispatch by U.S. Special Operations Command, America’s most elite troops have already carried out missions in 133 countries. That’s nearly as many deployments as occurred during the last year of the Obama administration and more than double those of the final days of George W. Bush’s White House. At top — two U.S. Air Force HH-60 Pave Hawk helicopters assigned to the Air Force Reserve 301st Rescue Squadron deliver West Coast based Navy SEALs to swim out cremains during a burial at sea for former SEALs who passed away during the previous year. U.S. Navy photo by Petty Officer 1st Class Abe McNatt/Released. Above — a U.S. Air Force CV-22 Osprey tilt-rotor aircraft over Eglin Range in Florida on March 24, 2017. U.S. Air Force photo/Senior Airman Jeff Parkinson. Special Operations Forces have actually been in a state of transformation ever since Sept. 11, 2001. In the years since, they have grown in every possible way — from their budget to their size, to their pace of operations, to the geographic sweep of their missions. In 2001, for example, an average of 2,900 commandos were deployed overseas in any given week. That number has now soared to 8,300, according to SOCOM spokesman Ken McGraw. At the same time, the number of “authorized military positions” — the active-duty troops, reservists and National Guardsmen that are part of SOCOM — has jumped from 42,800 in 2001 to 63,500 today. While each of the military service branches — the so-called parent services — provides funding, including pay, benefits, and some equipment to their elite forces, “Special Operations-specific funding,” at $3.1 billion in 2001, is now at $12.3 billion. The Army, Navy, Air Force and Marine Corps also provide their special operations units with around $8 billion annually. All this means that, on any given day, more than 8,000 exceptionally well-equipped and well-funded special operators from a command numbering roughly 70,000 active-duty personnel, reservists, and National Guardsmen as well as civilians are deployed in approximately 90 countries. Most of those troops are Green Berets, Rangers or other Army Special Operations personnel. According to Lt. Gen. Kenneth Tovo, head of the U.S. Army Special Operations Command until his retirement last month, that branch provides more than 51% of all Special Operations forces and accounts for more than 60 percent of their overseas deployments. On any given day, just the Army’s elite soldiers are operating in around 70 countries. In February 2018, for instance, Army Rangers carried out several weeks of winter warfare training in Germany, while Green Berets practiced missions involving snowmobiles in Sweden. 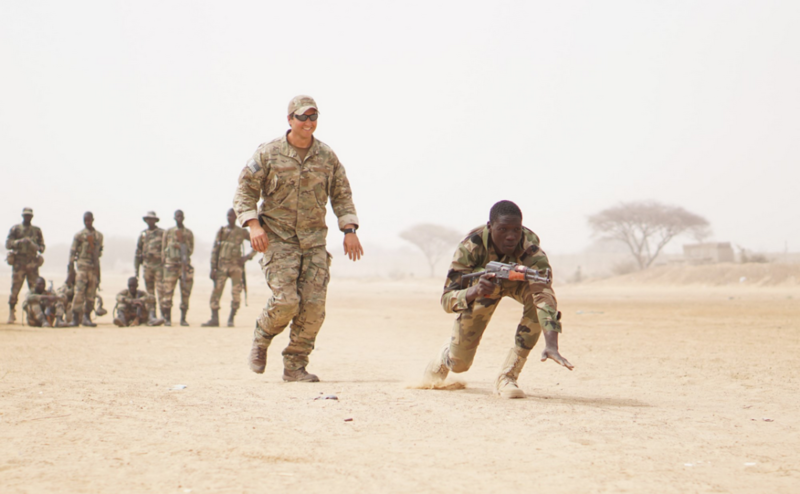 In April 2018, Green Berets took part in the annual Flintlock multinational Special Operations forces training exercise conducted in Niger, Burkina Faso and Senegal that involved Nigerien, Burkinabe, Malian, Polish, Spanish and Portuguese troops, among others. In May 2018, a post-deployment awards ceremony for members of the 2nd Battalion, 10th Special Forces Group, who had just returned from six months advising and assisting Afghan commandos, offered some indication of the kinds of missions being undertaken in that country. Those Green Berets received more than 60 decorations for valor — including 20 Bronze Star Medals and four Silver Star Medals, the third-highest military combat decoration. For its part, the Navy, according to Rear Adm. Tim Szymanski, chief of Naval Special Warfare Command, has about 1,000 SEALs or other personnel deployed to more than 35 countries each day. In February, Naval Special Warfare forces and soldiers from Army Special Operations Aviation Command conducted training aboard a French amphibious assault ship in the Arabian Gulf. That same month, Navy SEALs joined elite U.S. Air Force personnel in training alongside Royal Thai Naval Special Warfare operators during Cobra Gold, an annual exercise in Thailand. Air Force Special Operations Command, which fields a force of 19,500 active, reserve and civilian personnel, conducted 78 joint-training exercises and events with partner nations in 2017, according to Lt. Gen. Marshall Webb, chief of Air Force Special Operations Command. In February 2018 Air Force commandos conducted Arctic training — ski maneuvers and free-fall air operations — in Sweden, but such training missions are only part of the story. Air Force special operators were, for instance, recently deployed to aid the attempt to rescue 12 boys and their soccer coach trapped deep inside a cave in Thailand. 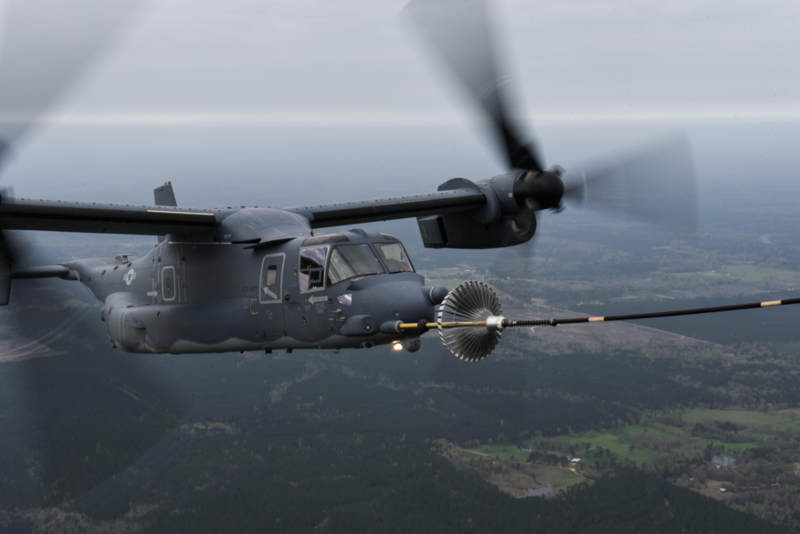 The Air Force also has three active duty special operations wings assigned to Air Force Special Operations Command, including the 24th Special Operations Wing, a “special tactics” unit that integrates air and ground forces for “precision-strike” and personnel-recovery missions. At a change of command ceremony in March, it was noted that its personnel had conducted almost 2,900 combat missions over the last two years. For years, U.S. Special Operations forces have been in a state of seemingly unrestrained expansion. Nowhere has that been more evident than in Africa. In 2006, just one percent of all American commandos deployed overseas were operating on that continent. By 2016, that number had jumped above 17 percent. By then, there were more special operations personnel devoted to Africa — 1,700 special operators spread out across 20 countries — than anywhere else except the Middle East. Recently, however, The New York Timesreported that a “sweeping Pentagon review” of special ops missions on that continent may soon result in drastic cuts in the number of commandos operating there. “We do not comment on what tasks the secretary of defense or chairman of the Joint Chiefs of Staff may or may not have given USSOCOM,” spokesman Ken McGraw told me when I inquired about the review. U.S. Africa Command has apparently been asked to consider what effect cutting commandos there by 25 percent over 18 months and 50 percent over three years would have on its counterterrorism missions. In the end, only about 700 elite troops — roughly the same number as were stationed in Africa in 2014 — would be left there. 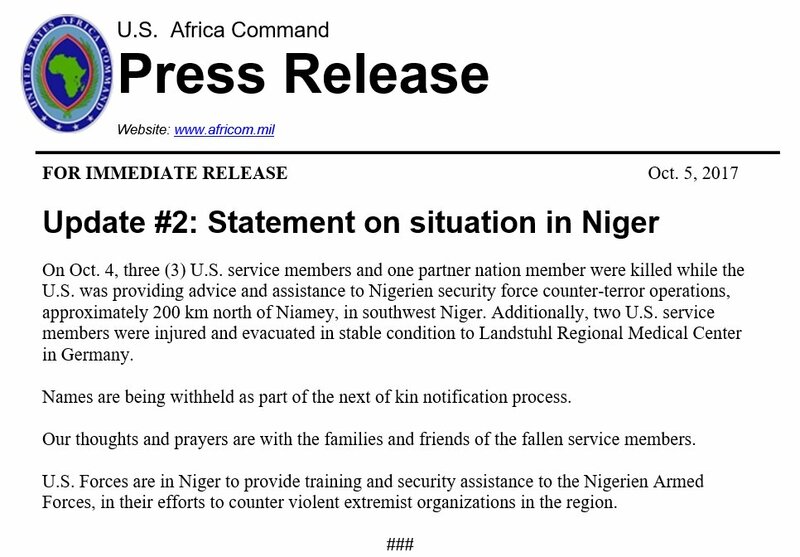 Coming on the heels of the October 2017 debacle in Niger that left those four Americans dead and apparent orders from the commander of United States Special Operations forces in Africa that its commandos “plan missions to stay out of direct combat or do not go,” a number of experts suggested that such a review signaled a reappraisal of military engagement on the continent. This is hardly a foregone conclusion, however. For years, members of SOCOM, as well as supporters in Congress, at think tanks and elsewhere, have been loudly complaining about the soaring operations tempo for America’s elite troops and the resulting strains on them. “Most SOF units are employed to their sustainable limit,” Thomas, the SOCOM chief, told members of Congress. “Despite growing demand for SOF, we must prioritize the sourcing of these demands as we face a rapidly changing security environment.” Given how much clout SOCOM wields, such incessant gripes were certain to lead to changes in policy. Earlier this year, Owen West, the assistant secretary of defense for special operations and low-intensity conflict, referred to Mattis’s comments while telling members of the House Armed Services Committee about the “need to look at the line that separates conventional operating forces from SOF and seek to take greater advantage of the ‘common capabilities’ of our exceptional conventional forces.” He particularly highlighted the Army’s Security Force Assistance Brigades, recently created to conduct advise-and-assist missions. This spring, Oklahoma senator James Inhofe, a senior member of the Senate Armed Services Committee, recommended that one of those units be dedicated to Africa. Chances are that U.S. commandos will continue carrying out their shadowy Section 127e raids alongside local forces across the African continent while leaving more conventional training and advising tasks to rank-and-file troops. In other words, the number of commandos in Africa may be cut, but the total number of American troops may not — with covert combat operations possibly continuing at the present pace. If anything, U.S. Special Operations forces are likely to expand, not contract, next year. SOCOM’s 2019 budget request calls for adding about 1,000 personnel to what would then be a force of 71,000. In April 2018, at a meeting of the Senate Subcommittee on Emerging Threats and Capabilities chaired by Ernst, New Mexico senator Martin Heinrich noted that SOCOM was on track to “grow by approximately 2,000 personnel” in the coming years. The command is also poised to make 2018 another historic year in global reach. If Washington’s special operators deploy to just 17 more countries by the end of the fiscal year, they will exceed last year’s record-breaking total. “USSOCOM continues to recruit, assess, and select the very best. We then train and empower our teammates to solve the most daunting national security problems,” SOCOM commander Thomas told the House Subcommittee on Emerging Threats and Capabilities earlier this year. Why Green Berets and Navy SEALs need to solve national security problems — strategic issues that ought to be addressed by policymakers — is a question that has long gone unanswered. It may be one of the reasons why, since Green Berets “liberated” Afghanistan in 2001, the United States has been involved in combat there and, as the years have passed, a plethora of other forever-war fronts including Cameroon, Iraq, Kenya, Libya, Mauritania, Mali, Niger, The Philippines, Somalia, Syria, Tunisia and Yemen. “The creativity, initiative and spirit of the people who comprise the Special Operations Force cannot be overstated. They are our greatest asset,” Thomas said. And it’s likely that such assets will grow in 2019.